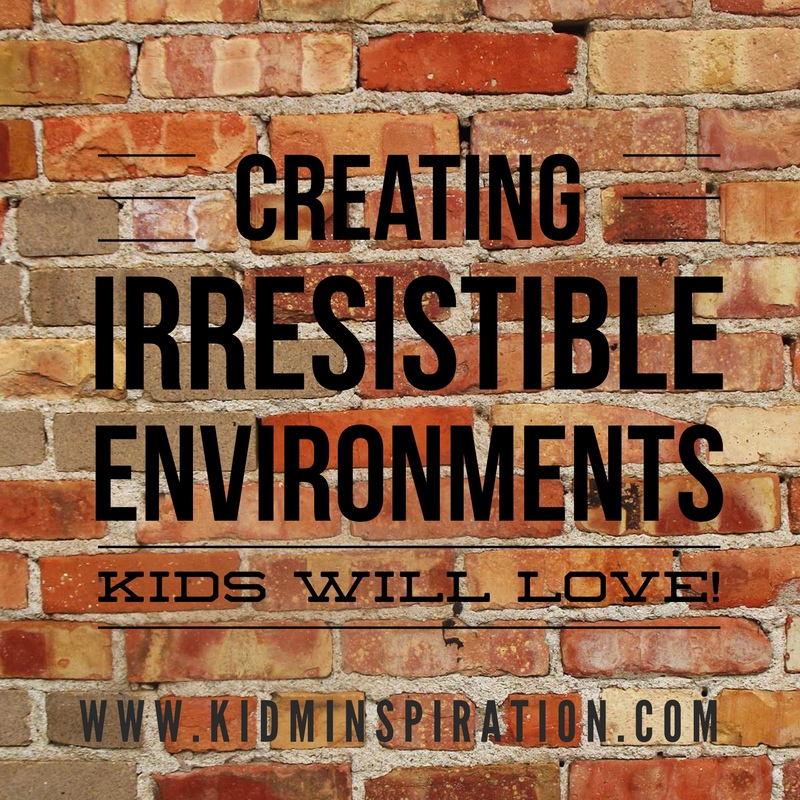 Ministry Basics: Creating Irresistible Environments Kids Will Love! Today, I’m excited to share excerpts from a conversation I had recently with Ken Neff, Children’s Pastor at Christ Central in Lake City, Florida. I ‘met’ Ken through a Facebook group for kidmin leaders. 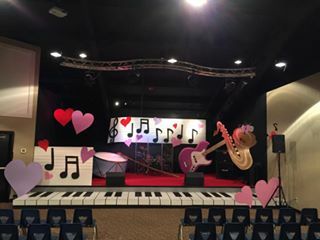 He posted this picture of a set he designed for his kidmin and I wanted to talk to him and see why and how he does this. Ken has been featured on churchstagedesignideas.com and is highly sought-after to help design sets for kidmin environments. What I found fascinating is that Ken has NO construction background. Prior to becoming a Children’s Pastor, he was in retail for 12 1/2 years – where he picked up marketing and art skills – and was a deputy sheriff for 10 years. 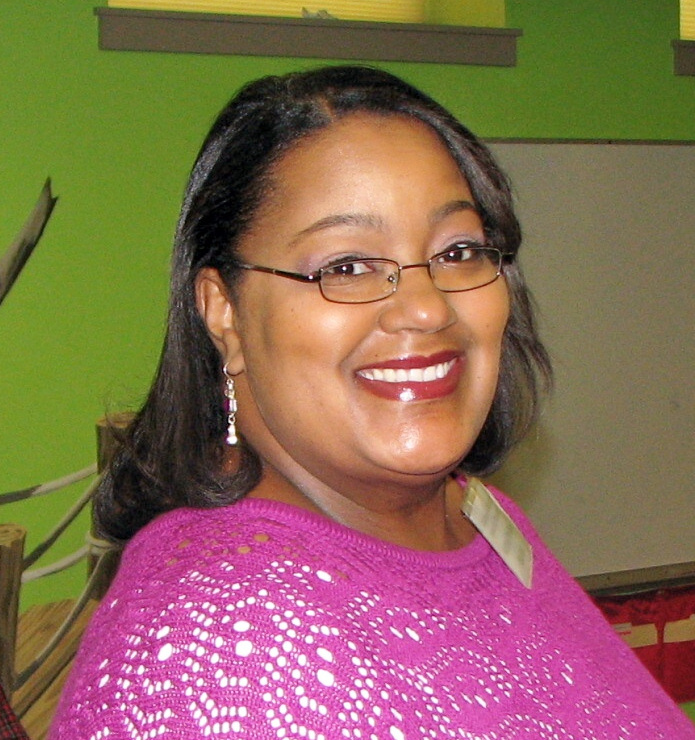 Kathie Phillips (KP): Why do you do what you do [take time to design and build sets]? Ken Neff: (KN): “To me, it’s more than stage design. It’s the whole atmosphere. Not only are kids visually stimulated, but there is usually something else going on.” For example, Ken’s church ties music into the monthly theme. When they did a baseball theme, “Take Me Out to the Ballgame” was played. Costumes are also integrated along with the set design. For the baseball theme, volunteers wore baseball uniforms and hats. Ken also mentioned that prayer and God-given ideas inspire his creativity. KP: What set design ideas do you have for churches on a budget? KN: “I often hear, ‘I want to do something but I don’t have a budget for it.’ However, if you plan ahead, you can do something. Planning ahead makes preparing a lot easier. An added benefit of that is you can purchase items for a good price or get them donated for free. You can’t do that if you wait until the last-minute.” Ken’s ministry has a different teaching series each month but he plans out the year in advance. In fact, he’s already working on ideas for 2016! KP: I’m curious about what curriculum you use that inspires these great sets. Do you write your own curriculum? KP: Are you the only one constructing these fabulous sets? Do you have any help? KN: “I am the primarily one responsible, but there’s a lady in our church who comes in about a week before I change the set to help paint things. She’s an artist, so that’s helped a great deal.” Ken mentioned that he has picked up artistic skills from this sweet lady. KP: Changing out your set every month must mean that you need a great deal of storage space. What kind of storage do you have? KN: “We have a 30 x 50 ft storage space at our church.” Ken also recycles and repurposes quite a bit, so this helps to keep clutter to a minimum. KP: What storage options would you suggest for those in portable churches? KN: “You have to get creative if you’re in a portable church, but it can be done.” Some suggestions might include renting a storage space, storing items in someone’s garage, or asking your portable church location if you could store things there. 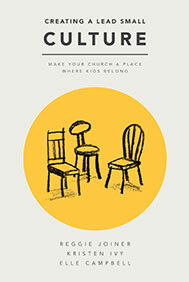 KP: What advice would you give to churches who share space with another group or ministry? KN: “If you can make just three (3) props that go along with your theme, I would make them out of something like styrofoam. That would help it to be lightweight and make transporting to a storage area manageable. 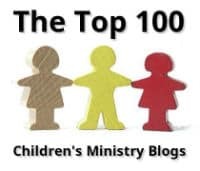 You could also get with other ministry leaders who share your space to see if they could incorporate the same theme so that props could be left up during the week.” It should be noted that Ken’s ministry shares space with their church’s weekday preschool, run by his wife, Andrea. That makes leaving his set in place a lot easier! Build/group things in odd numbers. It’s easier on the eyes. Look for resources all around you. Things like paint, wood pieces, and empty carpet tubes can be donated by people in your church. You can also find inexpensive pieces from flea markets or second-hand stores. Check out more of Ken’s work here. If you’d like to contact Ken, you can email him at ken@christcentral.org. 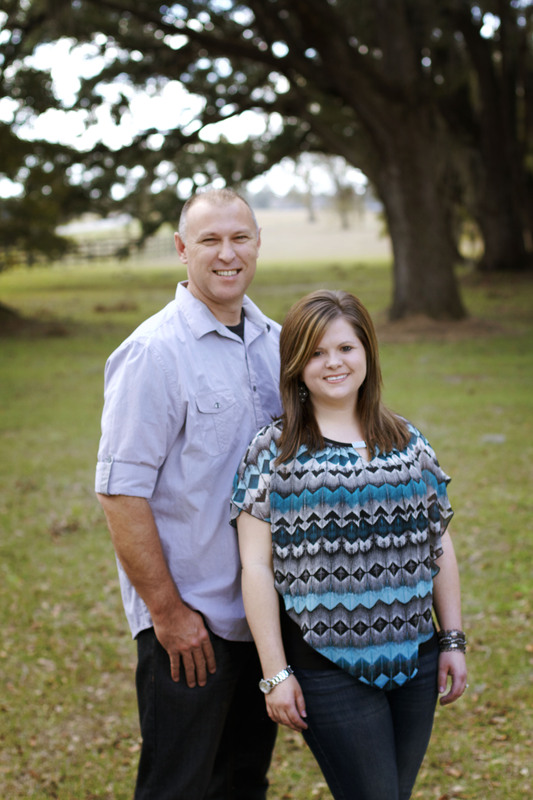 Ken & Andrea Neff are the Families & Children’s Pastors at Christ Central located in Lake City,Florida. They minister on a weekly bases to 300 children. Through the creative anointing that God has placed on Ken’s life, he brings the Bible stories alive for the children by creating a monthly stage design that goes with the curriculum that he and Andrea and write. 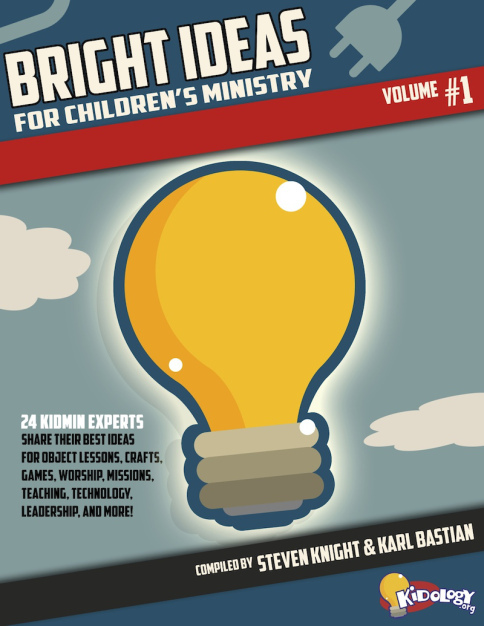 They believe in equipping other leaders and pastors to advance the Kingdom of God. 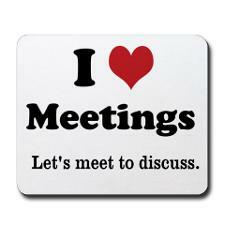 Call me weird, but I love a good meeting, especially when the meeting is about something that I’m passionate about. As a kidmin professional, I spend a lot of time in meetings and leading meetings. People lead busy lives; therefore they don’t want to waste time sitting in an unnecessary meeting. Only meet when necessary. Speaking of time, people want you to respect it. Start and end on time. It’s helpful if people know what to expect. Send an agenda ahead of time. Speaking of agenda, keep the meeting on track by sticking to the agenda. Try to curtail side conversations. Food and fun decorations makes all meetings enjoyable! Since I recently hired an Associate Director for our ministry (she is awesome, by the way! ), we have resumed our weekly Children’s Ministry staff meetings. The purpose of our time together is make sure that everyone is up-to-date about what’s going on and to pray for ministry & personal needs. While we have only had two CM staff meetings so far, I have thoroughly enjoyed them both. Not only are we planning better but our friendships are deepening. It’s been a beautiful thing to watch. When designing our meetings, I made the decision to make our time purposeful by keeping each meeting to 60 minutes and having a pretty standard (but flexible) meeting agenda each week. This week at a glance: We look at Monday-Saturday events & Sundays separately. We assess volunteer needs and logistics. Then we assign tasks for the week so that we know who is responsible for what. We also review our calendars (who will be out of the office and when). After our meetings, I upload a summary and to-do lists to our shared folder on Basecamp. For your convenience, I placed a downloadable Staff Meeting Agenda template under the Leader Resources “Forms” tab. You can use it to design your own agenda to suit your team’s needs. What do your staff meetings look like? Share your ideas with our community! Yesterday, my family and I enjoyed a long-standing tradition – getting together for the Super Bowl. Yes, the guys are interested in the game – and we ladies were, too, last year when our Baltimore Ravens were playing. But fellowship, great food, 2 birthdays (my dad & my sister’s birthdays always fall around Super Bowl weekend), and funny commercials are the REAL reasons we enjoy our annual Super Bowl party. Speaking of commercials..The Washington Post reported that a 30-second advertisement cost approximately $4 million this year. With over 100 million viewers expected to tune in to the game, corporate sponsors are able to reach a plethora of potential consumers. Might be a good investment then, right? A great church/ministry website is also a winner. More and more of our families find us via the internet nowadays, so having a top-notch website is a great investment. Our ministry will be updating our website in the coming weeks and I am very excited about that! 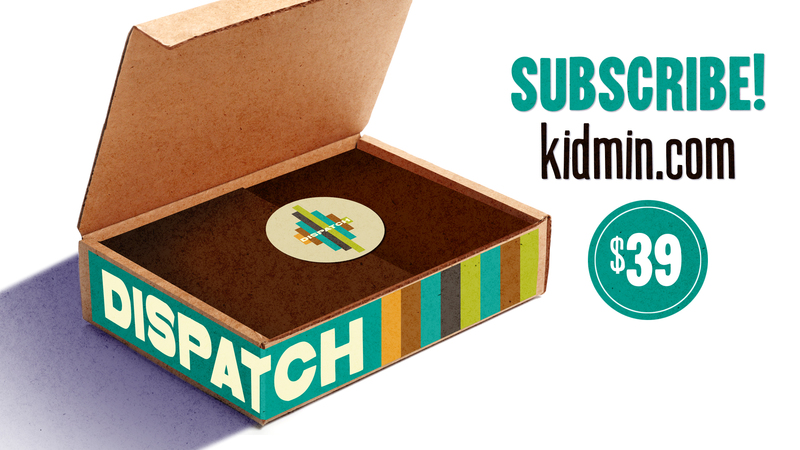 Bulletin ads are an effective tool in getting the word out about your ministry. There have been debates on whether or not to use church bulletins to recruit volunteers but bulletins can be a great way to give a brief snapshot of what’s happening in your ministry. Reach the masses by having upfront announcements, videos, and skits presented to your entire congregation at weekend services. Having a ministry staffer or key volunteer do this is awesome. Having your Senior Pastor do this is also awesome. E-newsletters are another great (and oftentimes free) route to choose. I use Mail Chimp to send weekly updates to our ministry parents. The information hits their inbox and is always available at their fingertips. Social media, like Facebook, Twitter and Instagram, are also free tools that are very effective in getting the word out. Many members of our congregation use social media so getting information to them in this way is extremely effective. Getting the word out via text alerts is something that many ministries use. I currently do not use this type of advertisements but those that do have shared how awesome it is to send a mass text to parents, students, and/or volunteers. Quality colorful, eye-catching posters and banners are great ‘oldies but goodies’. Pair them up with a creatively decorated table, printed materials, a smiling volunteer and food is also a winner. Read here about how our ministry pulled this off this past summer. 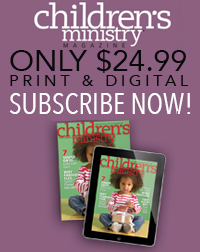 Other great options include diaper bag tags, buttons, ink pens, hats, backpacks, water bottles, t-shirts – anything that can be printed with your ministry’s logo. Many times these items help strike up great conversations outside of your church walls. How have you creatively advertised your ministry on a budget? I’m always looking for ideas, so please share yours by leaving a comment below!